Hamster Club :: Hamster Club Competition WINNER ANNOUNCED! Hamster Club Competition WINNER ANNOUNCED! Hamster-Club would like to thank all those that participated and voted their favorite hamster story. The winning story is: Meet A Miracle by Lesley Patterson. This hamster story got the most facebook votes! Click here to read this. 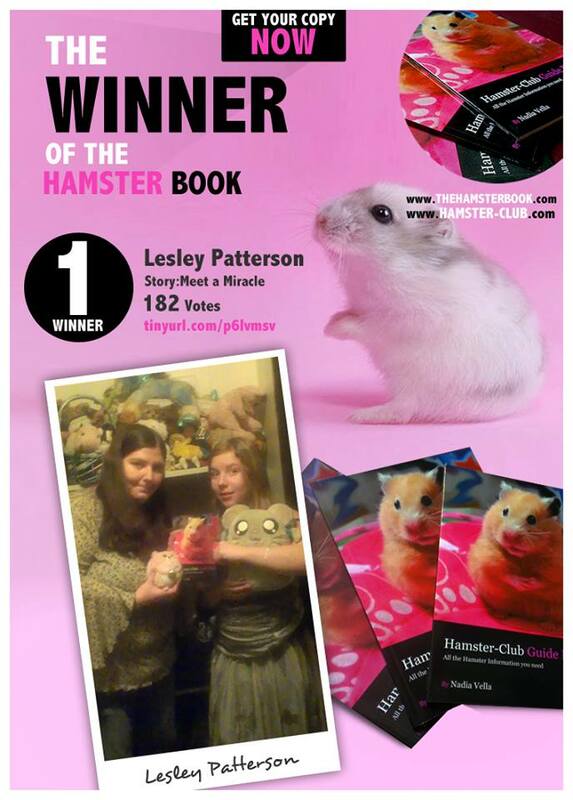 Lesley Patterson won the Hamster-Club Guide Book. We hope you enjoyed the competition and invite you to keep checking our page for further promotions and hamster information. If you'd like to purchase The Hamster Book, please click here.